Finally, a safe and effective way to eliminate smelly cat litter box odor. Do your house guests smell your cats before they see them? Help is now available. Easy Clip-on activated carbon air purifier with VAC – Ventilated Activated Charcoal is a favorite odor control solution among cat owners. Not only, completely safe and non-toxic, but it really works with amazing results. Now you can safely and without chemicals and irritation fragrances, eliminate litter box odor with activated charcoal odor absorbers from Innofresh. Believe me, I know. 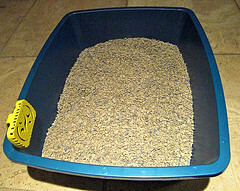 It seems that no matter what litter you choose, your litter box still has a lingering odor that is taking over your home. Now, with Innofresh PET odor absorbers, the powerful, fragrance free activated charcoal absorbs, traps and neutralizes the unwanted odor safely without chemicals, irritating fragrances, messy powders, gels and sprays. Finally, eliminating odor is easy and not just by masking with another fragrance. Here are some actual customer reviews. “No matter what litter I use, I still had that odor. I tried (Innofresh PET odor absorber) and it worked great. I keep 2 odor absorbers clipped onto each litter box and the odors are gone and I love that they are unscented” – Jen J. “I could not believe how rapidly your litter box odor absorber rid my house of “pet housitosis”. My cat’s litter box is in the basement and the smell permeated the house. I’ve tried other products, but your is the best!” – Helen. Not only is Innofresh Pet odor absorbers extremely effective for eliminating litter box odor, but this amazing activated charcoal odor absorber has become a favorite odor eliminator for small animal pets too. 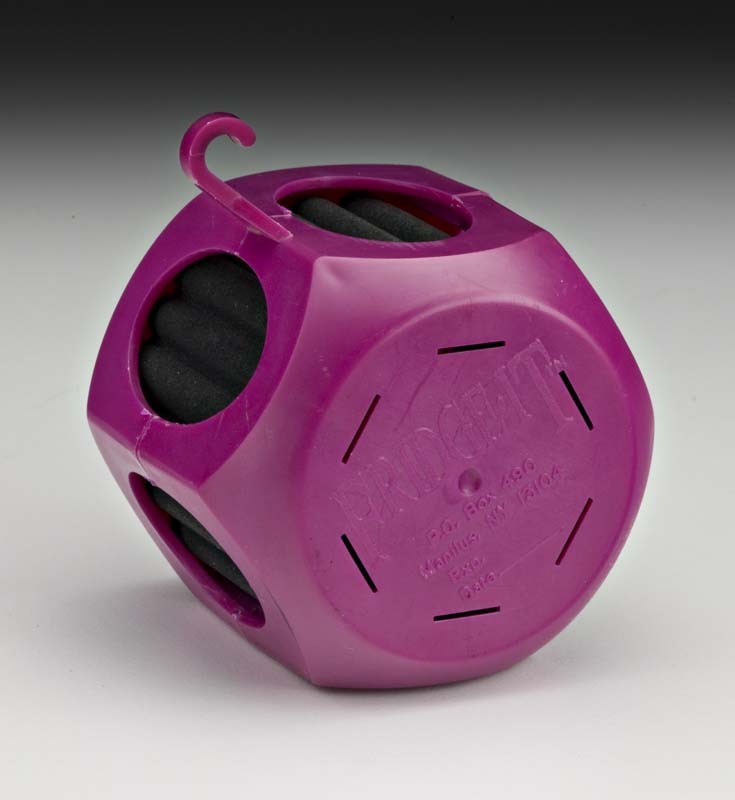 The convenient clip on feature on the back of the odor absorber also clips right onto most small animal cages and tanks for safe, chemical free and fragrance free relief from pretty nasty odors. Just clip on top of cage or tank away from pet (so it doesn’t just chew on it) and leave the powerful activated carbon to start working immediately. You should notice a big difference within just a couple of hours. 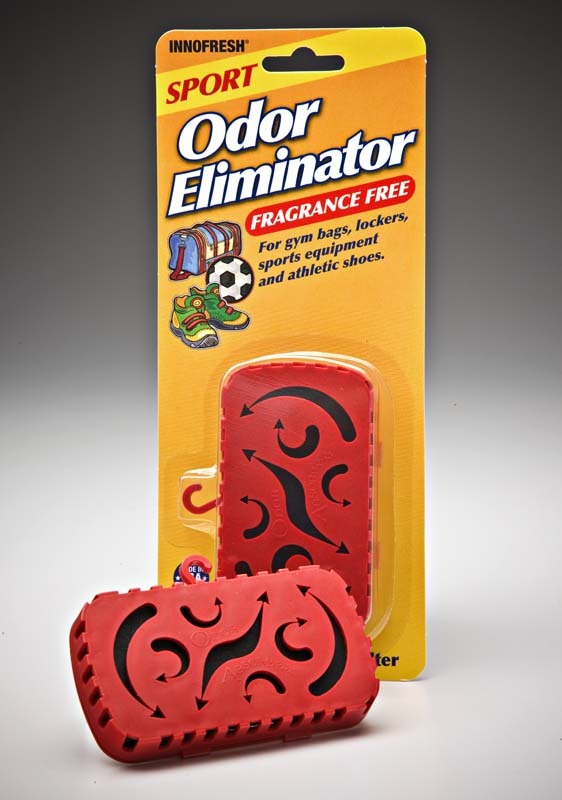 For really tough odors, you may want to use two of our pet odor absorbers for maximum odor control. Great for Ferrets, hamsters, gerbils, rabbits, hermit crabs, mice, turtles, birds, and fish tanks.So, don’t put up with the smell of litter box odor, small animal cages and tanks. Safely eliminate the odor with fragrance free activated charcoal. You and your pet will be happier.Fresher, cleaner smelling air is just a few days away. INTERNET SPECIAL – Order now and use promotion code BK309A for an automatic 10% discount off our already SALE prices on your next order on line at www.innofresh.com You must enter this code in the required coupon/promo field to receive your discount. Also, look for or special “warehouse case buys” for free shipping offer. Let’s face it. Musty smells and unpleasant household odors are very common, especially this time of the year. Not surprisingly, one of the most popular odor problems that our readers are interested in is “Dead Mouse or Rat or Rodent Odor” and how to eliminate this pungent smell. The answer is YES. Of course, our first suggestion is to try to trap the critters in the open first, by using mouse traps or other devices so that it doesn’t just eat poison bate and then die behind the wall. But, despite best efforts, they often simply are dead behind a wall and the smell is pretty bad. Dead mouse or other rodent odor is tricky because you often never really know where exactly the mouse is and you certainly do not want to start drilling holes in the wall, crawl space or vent. Also, another challenge is knowing what really is dead behind the wall. If the problem odor is from a larger animal, I’m afraid that you really should try to have it removed. In the case of a small mouse, using a few of our powerful, fragrance free FRIDGE IT cube odor absorbers will have positive results. 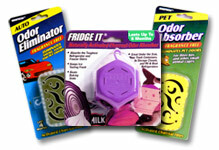 FRIDGE IT, originally made to eliminate very tough refrigerator and unwanted household odors, is powerful for other difficult household odors including dead mouse odors. It’s our strongest odor absorber for the job. All you need to do is place them in the area that you feel the dead mouse is likely located. If behind a wall, just place FRIDGE IT near the baseboard on the floor and also, up higher on a shelf or top of dresser. If the smell is coming from in a closet, you can just place a few of the FRIDGE IT cubes in the closet to absorb the lingering odor. 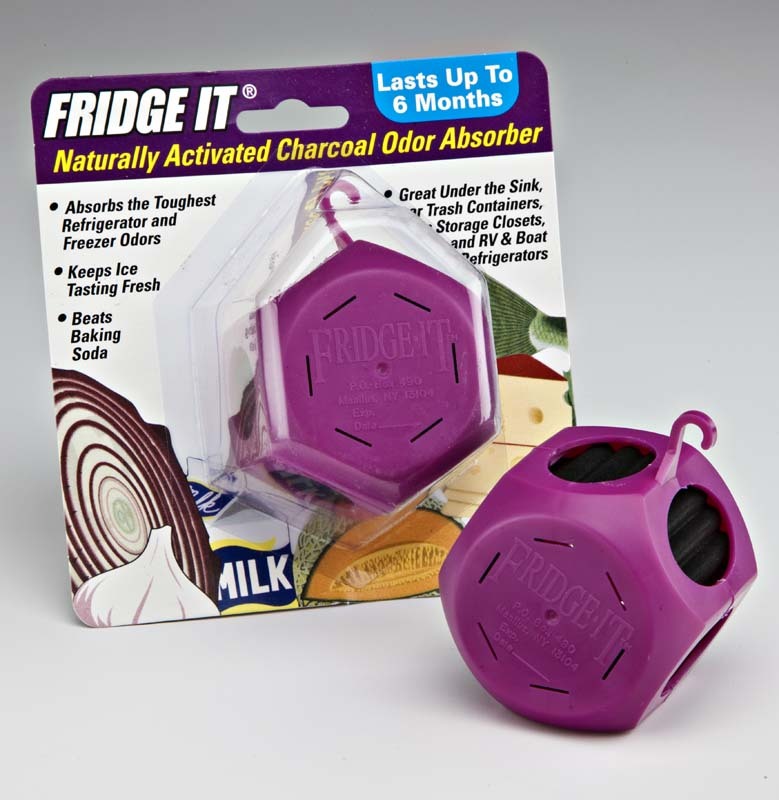 FRIDGE ITcontains a powerful and effective, ventilated, activated charcoal filter that absorbs and neutralizes the toughest odors that pass through it. The millions of micro-pockets and pores in our activated charcoal has an enormous surface area that make it so incredibly effective. Yes, a dead mouse odor that is coming from behind a wall is particularly difficult to eliminate since the source of the odor is hidden. However, placing our FRIDGE IT cube odor eliminator in the area will help absorb the smell that is lingering in the air. And, no chemicals and irritating fragrances that just cover up odors. We usually recommend placing at least three (3) of our FRIDGE IT cubes in the area for this difficult problem odor. Please visit our other blog articles to learn more about FRIDGE IT and our other activated charcoal odor absorbers. Also, visit our website at www.innofresh.com to learn more about Innofresh and our products. You can also conveniently shop on line at our shopping cart. Fast ship is important – We’ll ship your order within just 1 – 2 business days at most and it automatically will ship RUSH PRIORITY US Postal Service so you receive your order quickly. 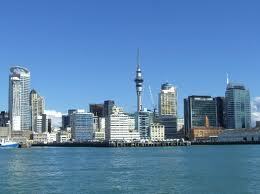 (International orders are shipped US Postal Service regular ground delivery). 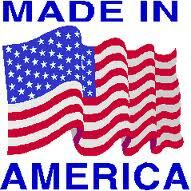 All our products are proudly manufactured in the USA with quality, safety and your complete satisfaction top priorities. We love referrals and all your comments, so please visit our website, blog, facebook and twitter pages.